There is a problem with your network connection. There is a problem with the information in your Microsoft account. Note This is a temporary solution that’s meant to help determine the cause of the problem. Turn off the Xbox console. Unplug the power cable from the back of the modem for one minute. After one minute, plug the modem in first and wait for all of the lights to return to their normal state. Test your Xbox Live connection. To do this, go back to System Settings, then select Network Settings, select Wired Network and then select Test Xbox Live Connection. 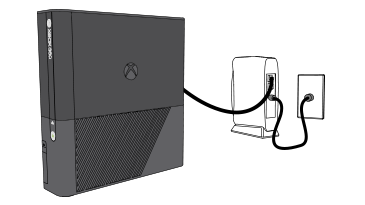 Note If you can connect to Xbox Live with a modem connection, then your console and modem are working as expected. To connect to Xbox Live using your router, you might need to change a setting on your router. For information about how to change settings on your router, visit the Xbox forums for information about how to configure your router. Note If you forgot your password or cannot sign in by using your password, see Reset your password. After you resolve any errors, verify the information for your Microsoft account. For example, verify the information in the Payment & billing or the Security & privacy sections. Enter the Microsoft account that’s associated with your Xbox gamertag. If you don’t know your Microsoft account or password, see the Lost Account Solution or the Lost Password Solution. Note If your account is an Xbox child account, you have to use the parent’s Microsoft account to download the profile. Would you like to contact Support regarding the "Error code 8007274D occurs when you try to download your profile on Xbox 360" issue you were reading about or a different issue?